LOS ANGELES - Wind turbines are capable of producing vast amounts of electricity at competitive prices, provided they are efficiently maintained and operated. Being a cleaner, greener source of energy, wind energy is also more reliable than other sources of power generation. Therefore, the demand for wind energy is slated to soar over the next few years, fuelling the growth of the global market for wind turbine operations and maintenance. 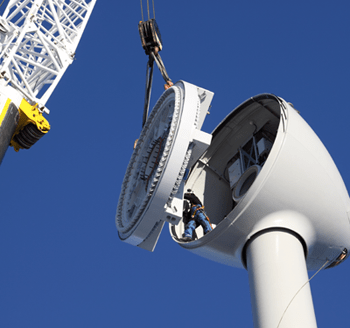 By application, offshore and onshore wind turbine operations and maintenance are the two major segments of the market. The rising number of aging wind turbines emerges as a considerable potential for the growth of the market. The increasing downpour of funds from financial institutions and public and private investors has also been playing a significant role in the expansion of the market. On the other hand, insufficient number of skilled personnel, coupled with increasing costs of logistics, remains a key concern restricting the growth of the market. However, the growing demand for offshore wind turbines across the globe is likely to materialize into fresh opportunities. Some of the major companies operating in the global market for wind turbine operations and maintenance are Gamesa Corporacion Tecnologica, Xinjiang Goldwind Science & Technologies, Vestas Wind Systems A/S, Upwind Solutions, Inc, GE Wind Turbine, Guodian United Power Technology Company Ltd., Nordex SE, Enercon GmbH, Siemens Wind Power GmbH, and Suzlon Group. A number of firms have been focusing on mergers and acquisitions to extend their presence across new regions.